The German Freestyle Battles (GFB) are run and organized by Valentin Böckler. It’s a tour for young motivated freestyle windsurfers, who like to compete and hang out with people, who have the same interests. Most events are announced, but will be only run, if suitable wind conditions are forecasted. If the conditions aren’t looking promising enough, the event will stay on stand by mode. 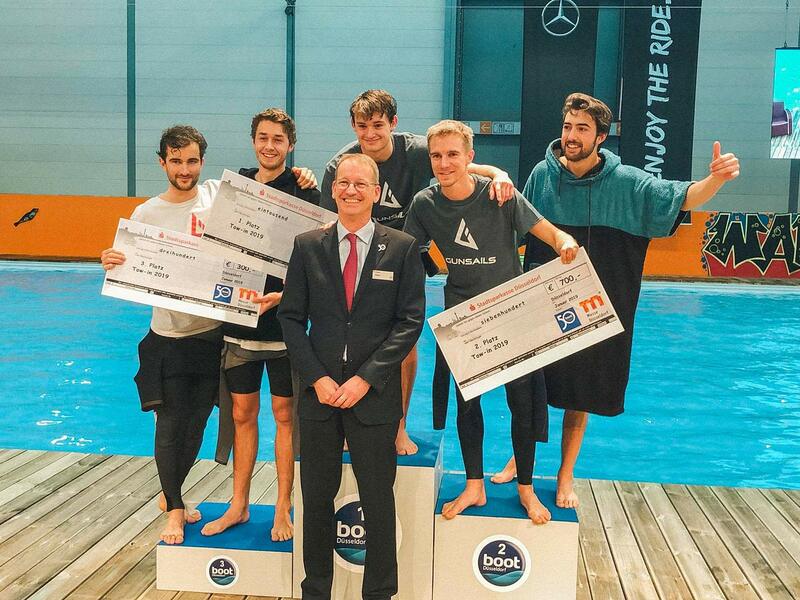 On the first weekend of the boot Düsseldorf 2019 the German Freestyle Battles ran a tow-in contest in the 65 m long indoor pool. It was the first highlight of the 2019 GFB season. Niclas Nebelung from Kiel won the event. Check the video and read our interview with the GFB organizer Valentin Böckler, who competes at all events, too. The men behind the GFB is a real multi-talent. “At the wakeboard cable car the spectators enjoyed action and maneuvers that otherwise would only be possible outdoor on the water and in a lot of wind. Niclas Nebelung, born in Duisburg and now studies in Kiel, lived up to his role as favorite and secured himself the victory with a triple rotation ahead of Valentin Böckler and Jannes Thomsen. At the pool edge of the 65-meter-long indoor pool several hundred spectators lined up to cheer for the freestylers. The tow-in event allowed the spectators to experience extraordinary freestyle windsurfing. Continentseven: For how many years have you been organizing GFB events? Who else was involved in the battles? Valentin Böckler: Since 2011 I’m organizing the GFB Events. One year earlier Adi Beholz invented this contest-format, because the official German Tour didn’t run the freestyle discipline anymore. Continentseven: What’s the idea behind the GFB? Valentin: It’s all about having a fun day on the water and pushing each other to the max at the same time! Continentseven: Is it just for fun or do you run an overall ranking and can the competitors get valid points for higher ranked tours (EFPT, PWA, IWT…)? Valentin: Since 2015 we are the official German Freestyle Tour and we are allowed to put up an official ranking. From the beginning on we tried to make it easy for people who want to compete for their first time and to push the German freestyle discipline. In the beginning it was a pure fun competition, but since 2015 we collaborate with the GWA (German Windsurfing Association) and set our own, official, German ranking. But we are not a qualifying tour for any international events/tours yet. Continentseven: Who won in 2018? Valentin: Young and talented Niclas Nebelung is the winner of the 2018 German Freestyle Battles. He won all the events at Fehmarn and Lemkenhafen. He now won the tow-in event at the boot Düsseldorf, the first happening organized by the GFB in 2019. An he won 1000€ price money, not bad! I made it in second place, what’s a great start in the new season. Continentseven: Is it stressful to organize the events and compete at the same time? Valentin: Yes, for me it is super stressful to organize the events: contacting sponsors, doing the PR, the media production, editing and competing at the same time! After every event I need a few days off to rest. Continentseven: What are the goals for the future with the GFB? Valentin: We wanted to grow freestyle windsurfing. And we made it! Actually freestyle windsurfing is definitely alive in Germany! With around 30 competitors at every event there is no doubt about that. But we want to push the freestyle discipline in Germany even further and help young guns to get into competitions. Because their first contest, where they also see the top guys battling, will probably get them motivated. We wanna keep the stoke about freestyle windsurfing alive! At the moment we are also working on a new judging system with tablets to get faster in judging and counting points. 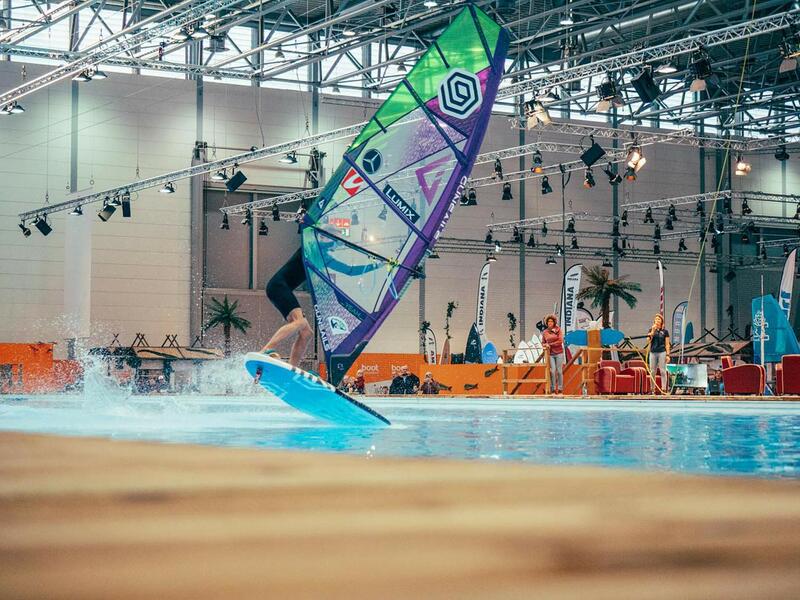 Continentseven: What’s the value of the GFB for the German freestyle windsurfing? 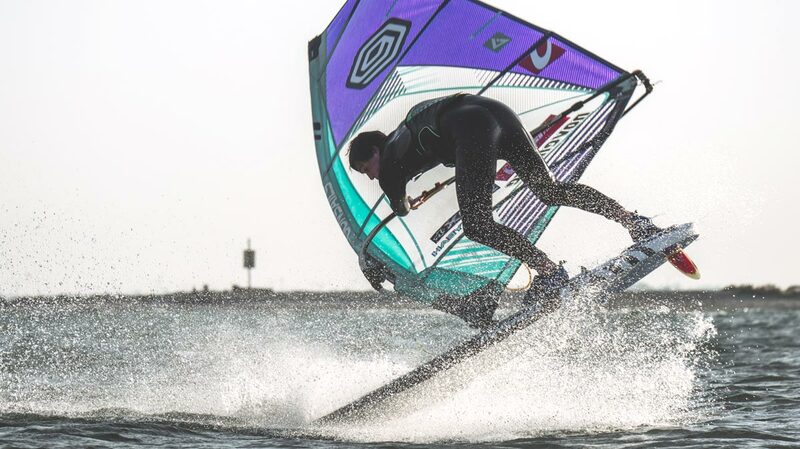 Valentin: I guess most of the windsurfers in Germany know about the German Freestyle Battles, because since years we are a solid tour with multiple events every season. Every year new young faces are showing up at the events and all in all we are a big freestyle-family. We are having a fun time together. Valentin Böckler showed excellent tow in skills in the indoor pool and made it second place. He is a real multi talent. Continentseven: Are you recognized by the industry and shops and do you receive support? Valentin: Since four years we are on the official event program at the Surffestival on Fehmarn in May. So the industry should recognize us and for sure knows us from the Festival on the German island. With Maui Ultra Fins, Sailloft or LUMIX we have great partners at our side. Continentseven: What was your personal highlight so far? Do you remember a very special moment? Valentin: The highlight for me was winning my first Battle on Fehmarn in 2016. And special moments were for example judging outside at the beach in the rain in 30 knots at the first events. Luckily today we usually have judging towers at most of the events. So for me it’s just great to see how the tour is growing and how motivated everyone is. The level at the last event in Lemkenhafen suddenly went trough the roof! It’s on! Can’t wait for the upcoming battles in 2019! See you there! Continentseven: Thanks for the interview and good luck for 2019! !